Photo found on PaperLadyInvite’s Flickr stream (Creative Commons attribution at the bottom of this post). Advent is the season immediately prior to Christmas. It is a four-week event that begins on the Sunday that occurs four weeks before Christmas Day (so, this year, it began last Sunday, Nov. 29, 2009). Traditionally, there is a wreath that includes four candles (one for each Sunday between the start of Advent and Christmas Day). On the first Sunday of Advent, you light the first candle in the wreath. On the second Sunday, you light the first and second candles, etc. To give people something to do every day during the advent season (actually, Advent calendars traditionally run from Dec. 1 through Dec. 24), rather than just on Sundays (and to help the season appeal to children, I’d guess), some of the original German Lutherans came up with the concept of an Advent calendar. An Advent calendar has a unique concept. You begin the advent season with the calendar completely obscured. Then, on each day of the Advent season, you open a small door or flap on the calendar to reveal a portion of something. For some, each door of the calendar reveals a part of a story or poem. For others, the advent calendars are actually heavy wooden boxes with small compartments behind each door that can hold a small gift. Even for others, the Advent calendar has become about giving back to others. When I was a child, in addition to having traditional Advent calendars that revealed a part of a story on each day, we had other Advent calendars in which we would place a quarter each day (two on Sundays, if I recall correctly), to eventually donate to a local charity at the end of the season. 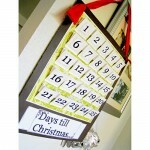 In that spirit, I have found two places on the Web that have created Advent calendars for geeks. They are giving you the gifts; all you have to do is remember to open them. The first is presented by an iPhone development team known as Blacksmith Games. The Appvent Calendar is a Web site that reveals a new iPhone game each day, beginning on Dec. 1 and running until Dec. 24. On the appropriate day, the iPhone game that’s revealed is available in the App Store for free. The games are only available for free on the day they are revealed in the Appvent Calendar. Last night, Blacksmith Games announced that they would be providing their visitors with two free iPhone games today. One of them is part of the Appvent Calendar and the other is a “featured” game. I’m not sure if they’re going to do this every Saturday or if this is something special just for today. Regardless, if you start collecting the games today, you should have a total of 21 new games for your iPhone or iPod Touch by the time Christmas rolls around (if you started on Dec. 1, you would have a total of at least 25 – sorry I’m a bit late in sharing the information). 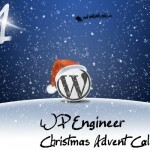 For those of you that use WordPress to manage your blog or Web site, another site called WP Engineer has created the WordPress Advent Calendar. This Advent calendar does not have the traditional “open a door, see the prize” interface of an Advent calendar, but it is in keeping with the spirit of the Advent Calendar by revealing something new each day. Every day from Dec. 1 through Dec. 24, WP Engineer will be posting a new mini tutorial or quick tip about WordPress for all of their readers. The really nice thing about the WordPress Advent Calendar is that, much like a real Advent calendar, even if you miss a day or two, you can still go back and catch up on what you missed. If you have found any other good Advent calendars on the Web for geeks like us, please feel free to share them in the comments. Enjoy the free stuff.